Ready to renew your vows? Try Lovers Key on Valentines Day! 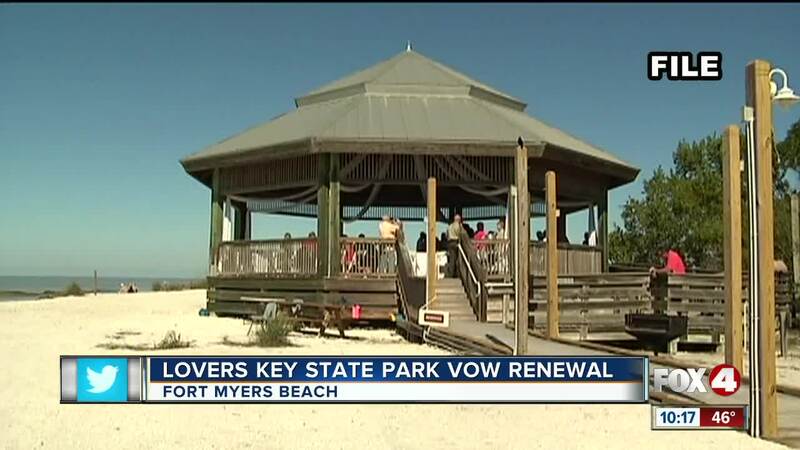 FORT MYERS, Fla. — You can renew your vows during a special ceremony at a Southwest Florida park that's dedicated to lovers! On Valentine's Day, more than 100 couples will renew their vows at Lovers Key State Park and you still have time to sign up. Couples can toast with champagne and eat wedding cake. Proceeds will go towards finishing and furnishing the new "welcome and discovery center" at the park. The cost is $100 per couple. For more information please visit www.friendsofloverskey.org .